A conservative lawmaker says Congress should appropriate money for a barrier along the southern border so that President Donald Trump does not feel forced to declare a national emergency in order to secure funding for it. As the partial government shutdown reaches its 20th day Thursday, Trump has said he is ready to declare a national emergency if Democrats fail to allocate $5.7 billion for a barrier along the southern border. 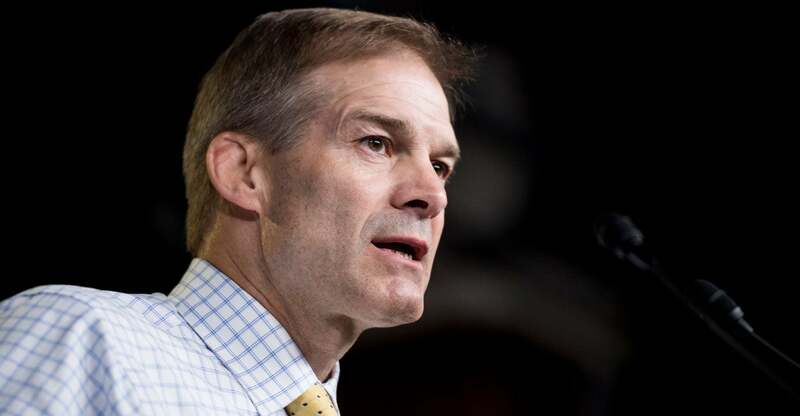 “I think the best approach is legislatively, because if he goes the emergency route, I am convinced it’s going to wind up in court … and that just delays what we all know needs to get done,” Jordan said. Rep. Mark Green, R-Tenn., who was sworn in to Congress Jan. 3, said Trump has the authority to declare a national emergency. Jordan also stressed that there is a crisis at the border. “If Democrats can get past this position they’ve taken, which is they’re more concerned about stopping the president than they are with helping the country, we can get to a solution and address the terrible things that are going on there,” he added. Rep. Chip Roy, R-Texas, also a freshman lawmaker, highlighted the past bipartisan backing for a wall. “Congress has authorized the construction of a fence for the better part of over two decades, multiple times, with bipartisan support, including the support of [Senate Minority Leader] Chuck Schumer and [House Speaker] Nancy Pelosi, so it is important to note that we have spoken as a body … that it should be built, it has been appropriated in the past, we need more appropriation now,” Roy said. Jordan remarked that “our side is holding strong,” but suggested there might be cracks on the Democrat side. Rep. Hakeem Jeffries, D-N.Y., said Jan. 2 on CNN’s “New Day” that existing barriers need improvement. “There are areas along the border where there are currently fences that are put up or barriers that are put up that need to be enhanced,” Jeffries said.